Bring your senses to life and awaken your taste buds with our wide selection of local and international fare at one of our four restaurants; each designed to suit your dining mood. Whether guests are simply taking time to relax and rejuvenate or partaking in one of our ayurvedic programs, we offer an excellent choice of exquisite cuisine to suit individual palates. 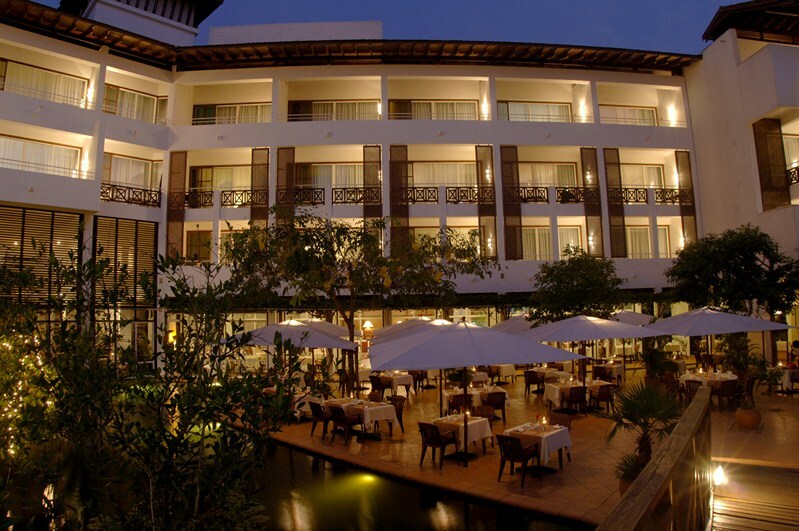 The flavors of Sri Lanka taste even better when surrounded by the tranquil environment of the Lanka Princess Hotel, and we invite you to experience our unique selection of bars and restaurants; each one offering elegant Sri Lankan hospitality. Browse our restaurant menu or enjoy an evening buffet feast in the air-conditioned, atmospheric Batahira Restaurant or take in the tranquil surroundings on the restaurant terrace. Experience delicate textures, heady flavors, and tempting aromas with our selection of local and international cuisine. Be captivated by the master chefs of Ayurveda cuisine as they create mouth-watering dishes to delight the palate and increase the wellbeing of our curative guests at the Ayurveda restaurant. Ayurvedic food is prepared in a separate kitchen to ensure the quality and nutrition of the food. 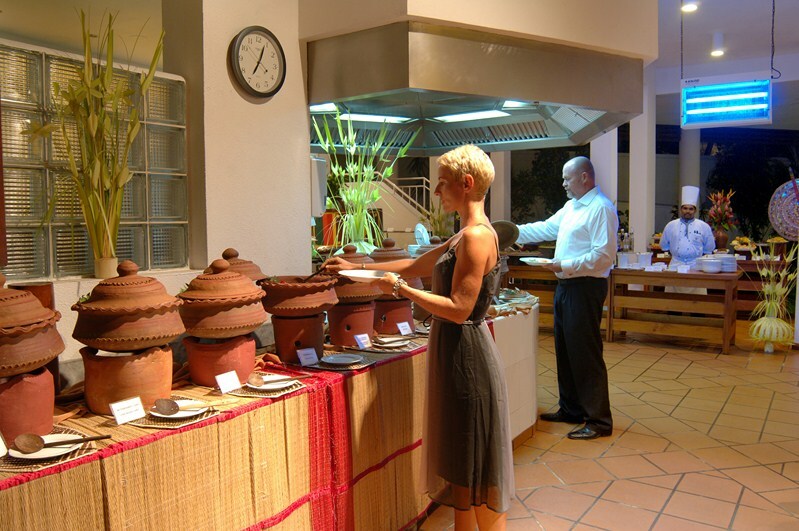 Guests who are not undergoing ayurvedic programs may also savor dishes from the Ayurveda restaurant. Our al fresco Lobby Bar and Pool Bar offers a choice of fresh fruit and vegetable cocktails in addition to an array of international cocktails and alcoholic drinks. 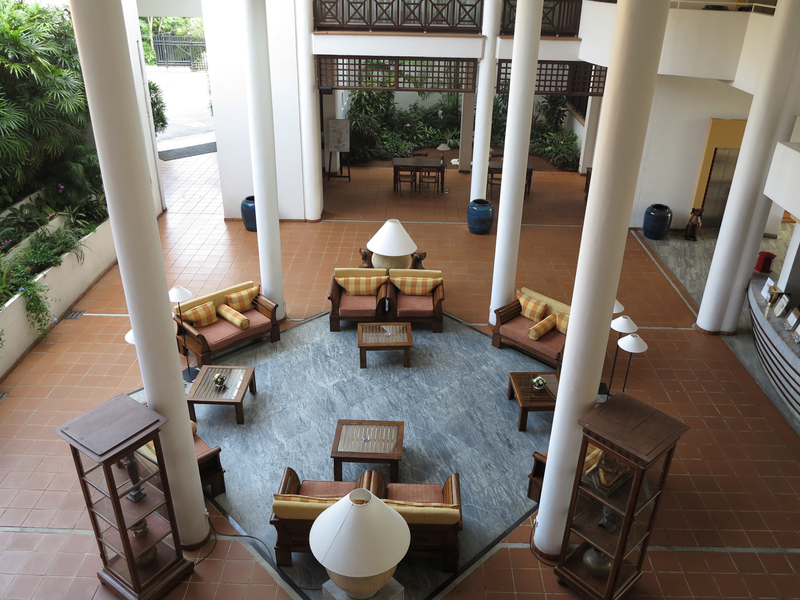 Stop by the tea counter and indulge in some traditional Ceylon tea or choose from a variety of herbal and fruit teas. Welcome the day with a sumptuous breakfast buffet prepared by our team of chefs and indulge in a lunch buffet of local, international and ayurvedic cuisine to tantalize the taste buds. Take a break from the sun at the water’s edge with an impromptu afternoon snack at the Pool Bar or relax in the chilled water and begin the perfect evening with sunsets. Transform an after-dinner drink into pure indulgence while you relax at the Lobby Bar. Enjoy tea, snacks, and Sri Lankan delicacies or savor a coffee and a good book while taking a break from the sun drenched beach. All food and non alcoholic drinks are included in the room rates and alcoholic drinks will be billed separately. Guests are kindly requested to wear appropriate casual attire for dinner.